There is a popular saying, “As above so below, as within so without”. This adage is said to have its origins from the Greek, Hermes Trismegistus, also known as Thoth in ancient Egypt and acknowledged as a ‘scribe for the Gods’. Hermes was credited with thousands of writings of high standing, reputed to be of immense antiquity. This principle of correspondence speaks to the mirror-image relationship between all cosmos. It simply says that the greater and the lesser are alike. The Universe and Earth are of the same pattern. Nature and man reflect each other. By observing one relation you gain knowledge of the reflected whole. To put it another way, the meaning of ‘as above so below’ is that everything is a microcosm of the macrocosm. We see the same patterns reproduced in all levels of the cosmos, from the largest scale all the way down to the smallest sub-atomic substance, including the metaphysical. Contemplate the macrocosm as The Universe and the microcosm being You. Deeper inquiry into this idea can bring some pretty potent revelation. The Universe is part of ‘All That Is’, which is the same as God, the ultimate creator entity. Everywhere there is conscious life, all made from the exact same core substance. This substance is vibrating through patterns of energy, of light and of sound. This core vibrational pattern of the ultimate principal entity is the same as the human. The human pattern is the same as the cell. The cell’s vibrational pattern is the same as the atom. This idea expresses that humans are made in the image and likeness of the one original Creator of everything, at the most macro level. All forms of life are birthed from this one primary source. All is a reflection and a stepped down version of its greater aspect. Let’s consider the innate cognition in the very nucleus of the globular atom. For years, scientists have known that atoms are intelligently driven particles of energy that can discriminate and choose. Atoms possess cognitive qualities such as the ability to select and reject, to attract and repulse. They also demonstrate the abilities of sensation, movement and desire. The concept of the atom as an intelligent energy is very much like human psychology, only that the atom’s existence is within a more limited radius and circumscribed degree. We can view ourselves as the greater human atom representing the total intelligence of all of our atoms. Just as our physical bodies are made up of spinning atoms, all of our individual human forms cohere together to form an even greater atomic body. This evolved entity comprises the sum total of an intelligently driven group consciousness. The evolved group atom and its unifying nature demonstrates further as planetary consciousness, which is the sum total of all of the groups and states of awareness. The evolution of the intelligent planetary atom continues on into solar consciousness forming an even greater entity. It expands next into galactic consciousness, then into universal space and beyond. 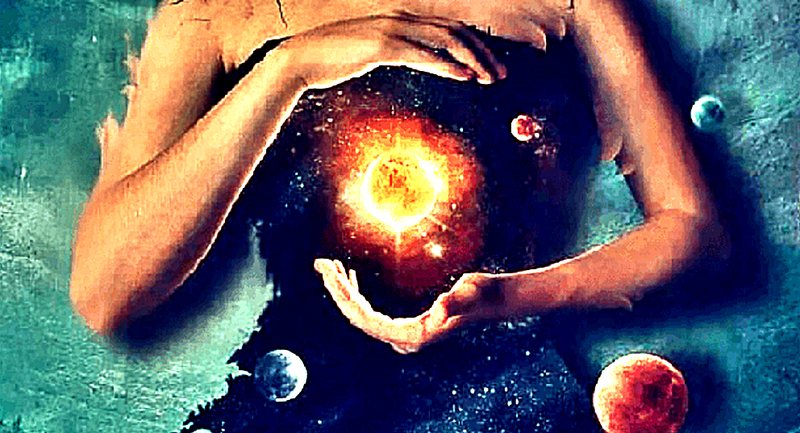 By knowing yourself as one, and by consciously uniting your microcosmic self with the macrocosmic whole, greater degrees of coherence can be experienced. Dramatic shifts begin to occur in your consciousness. This is because you are flowing in the rhythm of the totality of the self, even though you might not understand what that completely means at the level of the human intellect. It is simply to know that you are experiencing yourself as the part contained within a vast and all-inclusive whole. You are also the whole containing many parts. Through coherence, you learn how to use your connection consciously to tap into the same power that drives the entire Universe. The key to awakening such an awesome ability is to shift in the way that you interact in the world, as one with the world and not separated. Tiara Kumara is a multifaceted facilitator whose humanitarian work has profoundly assisted countless lives in consciousness awakening and transformation. Her accomplishments include several dedicated years of planetary unity grid activation and the training of tens of thousands of people in remote energy transference on mass scale. She is the founding producer of I AM Avatar and several educational experiences purposed to initiate and empower the soul’s evolution. This is her website where you can find more of her work. You can check her facebook page if you like reading about similar topics!